Below you can view all the townhouses for sale in the Lake Acworth Village subdivision located in Acworth Georgia. 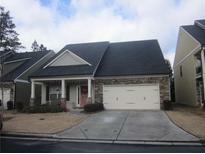 Listings in Lake Acworth Village are updated daily from data we receive from the Atlanta multiple listing service. To learn more about any of these townhouses or to receive custom notifications when a new property is listed for sale in Lake Acworth Village, give us a call at 404-998-4102. The Landing Is Large Enough For A Desk Next To The Laundry Room. Next To 75 And Shopping! ! MLS#6537442. Maximum One Realty Greater Atl.. Please Do Not Show Until March 29. Major Cleanup In Progress! Thanks MLS#6124733. Era Sunrise Realty. These statistics are updated daily from the Georgia Multiple Listing Service. For further analysis or to obtain statistics not shown below please call EasyStreet Realty at 404-998-4102 and speak with one of our real estate consultants.